The Rise of the Robots: Is this Time Different? 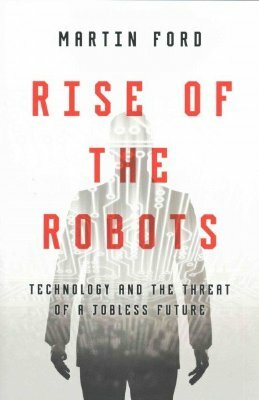 Over the course of the two centuries since the industrial revolution, there has been no shortage of false alarms raised over the specter of machines displacing workers and creating an unemployment crisis. In March 1964, a widely-publicized report written by a group of prominent scientists, journalists and public intellectuals who called themselves "The ad-hoc committee on the Triple Revolution" was delivered to President Lyndon Johnson. The report focused on three revolutionary forces that the committee believed would soon reshape society and the economy. Two of those forces, civil rights and nuclear weapons, indeed played major roles in the historical narrative of the 1960s. The third transformative trend identified in the report—the rise of widespread job automation technology and a resulting wave of massive unemployment and social upheaval—failed to materialize and has been largely forgotten. That long record of failed predictions appears to offer a powerful body of convincing evidence to those who are skeptical that rapidly advancing information technology will ultimately represent a threat to workers. Today's most prominent skeptics include Silicon Valley venture capitalists Peter Thiel, who thinks that robots won't threaten middle class jobs for at least a hundred years, and Marc Andreessen who recently argued on Twitter that "all this anxiety about robots eating the jobs will prove to have been a fever dream caused by the post-2008 economic slump." Yet, there are good reasons to be concerned that this time may, in fact, be genuinely different. Consider, for example, the classic historical illustration often cited by skeptics: the mechanization of agriculture. The introduction of tractors and farm machinery resulted in the loss of millions of jobs. In the United States, agricultural employment fell from a majority of the workforce late in the 19th century, to less than two percent today. There was, however, no permanent unemployment problem. Instead, workers transitioned to new jobs and industries, where they typically earned higher wages. At the same time, mechanization drove down the price of food relative to wages, leaving workers better off—and with more money to spend on other products and services. Is a similar scenario likely to play out this time around? A careful examination of the evidence suggests otherwise. Agricultural machinery was a highly specialized technology. It transformed farms, but had no impact in the then rising manufacturing sector. History shows that major technological disruptions have tended to occur on an industry-by-industry basis. Workers moved from agriculture to factory jobs. Later, as manufacturing automated and offshored, workers transitioned into service jobs. Today's information technology, and its realization in areas like robotics and machine learning, is dramatically different in both the breadth of its impact and rate at which it continues to improve. Unlike specialized farm machinery, the computer revolution has produced a truly general purpose technology. Much like electricity, information technology can be viewed as a utility that has invaded every conceivable organization, industry and sector of the economy. And it is a utility that is advancing exponentially and carries with it an unprecedented cognitive capability: machines and software can now solve problems, make decisions, and—perhaps most importantly—learn. As this new utility continues to disrupt existing industries and employment sectors, it will also form the foundation for all the new industries that will arise in the future. Skeptics will note that jobs were surely lost when horse-drawn carriage manufacturers were decimated by progress—but that the rise of the automobile industry, in turn, created more and better jobs. That was then. The question for us, today, is whether we are really likely to see future industries that generate millions of new jobs. It's easy to imagine the technologies and industries that may loom large in the future—nanotechnology, synthetic biology, virtual reality, and so forth. What is not so easy is to visualize is the rise of industries that are highly labor intensive. The risk we face today is that we have passed a technological turning point, and as a result, a new kind of creative destruction will unfold. 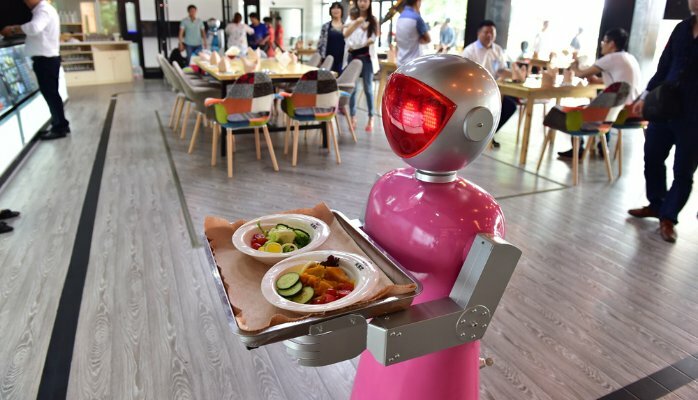 Technology in the form of robots, self-service systems and increasingly capable mobile devices will inevitably drive labor intensive industries like retail, fast food, and hospitality toward employing ever-fewer workers. At the same time the new industries upon which we place our hopes for replacement jobs will rely instead on information technology. Companies like Google and Facebook, both of which employ tiny work forces but massive computing facilities likely offer us a preview of what most future industries will look like. That will ultimately force us to confront the fact that we have entered an entirely new age—an age in which the relationship between workers and machines has been fundamentally transformed. Adapting to that new reality could well be one of the seminal challenges facing us in the coming years and decades.